"Understanding both current and future needs of customers is a pivotal move in a startup’s present and future product market fit." It’s no secret that startups need a solid foundation in the form of a product market fit (PMF) before advancing and scaling their business. This concept is a cornerstone for any startup, albeit a challenging one as it requires time and, above all, a thorough understanding of the target market. Even when startups think they have reached it, that isn’t necessarily the case. Today, we take a look at why that is, what makes a product market fit, and how to achieve it. On with the show. What is a product market fit? Being a recently coined term, there are quite a few definitions floating around in the startup atmosphere. “A value hypothesis is an attempt to articulate the key assumption that underlies why a customer is likely to use your product. Identifying a compelling value hypothesis is what I call finding product/market fit,” coming from Andy Rachleff, a notable venture capitalist. A product market fit is a fairly abstract concept that has an immense importance in the overall startup operation. In plain, non-fancy speak, it can be referred to as a stable combination of a product that resonates with the market in question. Think of it as coming to a Star Wars-themed Lego night where you’re trying to build a Millennium Falcon with the correct pieces, not with the Death Star package. How to achieve product market fit? The entire process is discovery-based and should start as soon as possible for one simple reason: it points you in the right growth direction. As the image above suggests, that direction is up. For one, startups need to build a minimally viable product or service and present it to prospects in order to feel their product market pulse and gauge demand. In the initial sales phase, especially in the B2B SaaS sector, any feedback translates into molding the offering into shape, be it by small touches or full-on overhauls. That way, you are set on meeting the needs of the target market in a more precise manner. Easier said than done, right? It’s a sound idea on paper (or screen, to keep with the modern vibe) that often has a rough transformation into a bona fide, tangible product or service. Why? Lots of reasons. Too many, if you ask us, and the majority revolves around a singular issue: customers. Understanding both current and future needs of customers is a pivotal move in a startup’s present and future product market fit. Whatever you are creating, you’re not doing it for yourself. No matter how good or useful a feature may be or how much you think it’s great and helpful, it’s all too easy to get tricked into thinking yours is the right way. You must keep a close eye on your prospects and adjust to their needs. 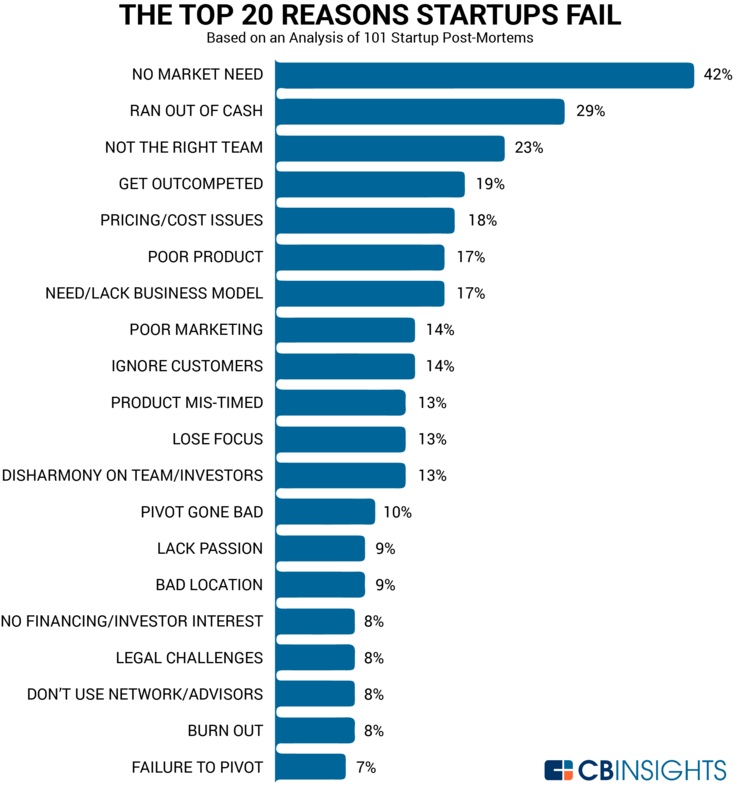 So, market research is where startups continually fail to impress. They are usually building a solution that addresses a specific problem, rather than addressing an actual product market fit need. If the solution doesn’t solve a market-wide problem, then you have another issue, a far worse one than you’re supposedly addressing. Customer development is an essential skill for developing product market fit. More importantly, it’s a proven method that works. Developing an in-depth understanding of the problems your customers face allows you to relate to them more accurately which, ultimately, helps form credibility, authority, and trust. It’s how measuring product market fit starts, by knowing the soothing points which you can then use to approximate the price and push growth. The general idea behind customer development is that if done properly, products will generate value and market fit on their own due to broad, tailored research and testing. From there on, value proposition helps narrow the process to select key features that are the closest ones to being a game changer. Yes, it’s not an easy task, almost like eating soup with a fork. However, it’s absolutely necessary as it exhibits a more focused approach that yields greater success. Providing value is the name of the game here and focusing on it will help your customers understand it quicker. The quicker they understand it, the closer you are to a product market fit. What all these things share in common is data. Without it, the entire process of PMF crumbles like a house of cards on a moving trampoline. It’s the answer to all the questions a startup has in its sales cycle, from lead generation to customer retention and full market research. Having actionable data plays a vital role for numerous decisions, product market fit included. What’s the industry standard? Whom would this impact the most? What’s the competition’s approach? We could go on for hours. In the product market fit funnel, having actionable data results in acquiring enough users who made a purchase. Once they provide sufficient feedback to make your product or service better, their numbers will increase and prove that there is indeed a market demand for what’s being offered. Even then, data through third-party traction can provide clear-cut evidence of you solving a real problem for a targeted audience. With technology advancing on a daily basis, there are loads of software tools that can automate the entire process. This allows you to explore, collate, and manage new business prospects and opportunities. Perhaps most importantly, using technology to do their bidding allows startups to go about the PMF process the right way: Start first with the product to find the market, not the other way around. After all, it is called product market fit, not market product fit, right? Right. In any case, the entire process has asserted itself as a key strategic landmark in a startup’s life. Understanding and identifying this concept is of critical importance in order to progress up the food chain (startup pyramid) and scale your business effectively.